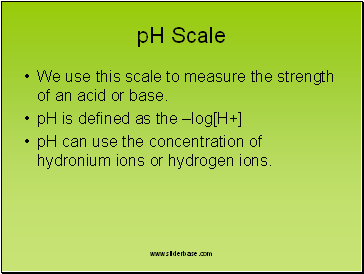 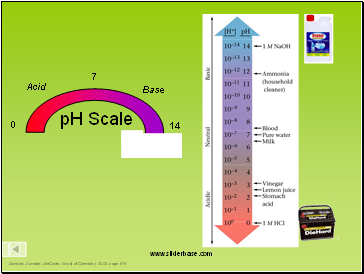 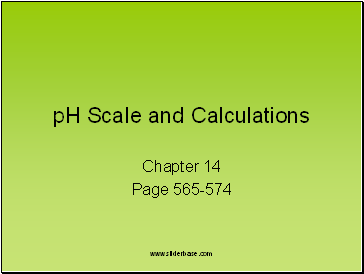 We use this scale to measure the strength of an acid or base. 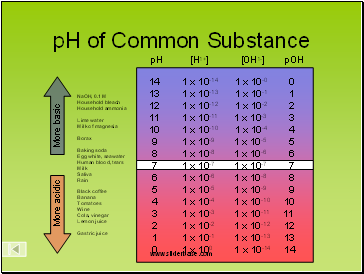 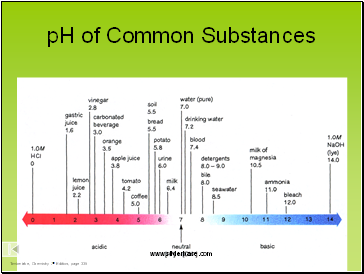 pH can use the concentration of hydronium ions or hydrogen ions. 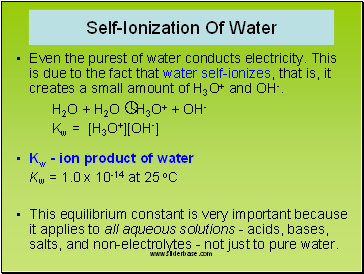 Even the purest of water conducts electricity. 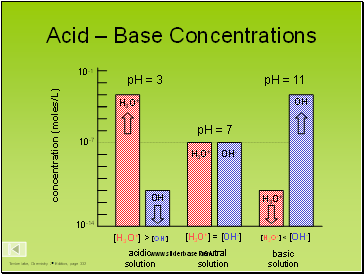 This is due to the fact that water self-ionizes, that is, it creates a small amount of H3O+ and OH-. 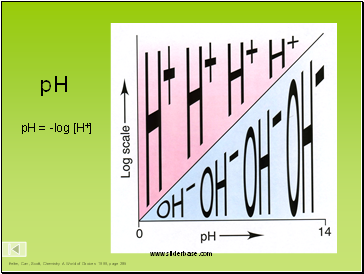 This equilibrium constant is very important because it applies to all aqueous solutions - acids, bases, salts, and non-electrolytes - not just to pure water.